Known as the Queen of Soul, 73-year-old singer Aretha Franklin got her start singing at the church. 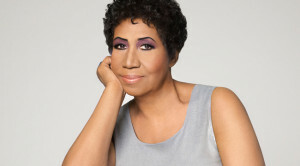 But once she embraced secular music, she became a huge R&B and soul star with hit songs such as “R-E-S-P-E-C-T” and “(You Make Me Feel Like) A Natural Woman.” During a recent phone conversation, when she confided that “too many things were going on,” she spoke about her career, adding that she was fielding offers from a few different groups (the team behind Straight Outta Compton, Oprah Winfrey and one other that she wouldn’t name) for a biopic. I think I read that you are going to fly for the first time in three decades. What prompted that decision? It’s the first time in 33 years. This bus is getting a little wearing, as much as I love it. After my last trip to California, I said I need to get off the bus and back on the plane. You got to be willing to try to do it. I’m willing. I flew for 23 years with no problem, so I should be able to get off the ground with no sweat. Maybe a little something to begin with but that should be it. I flew too long for that. Come on out and cheer me on. You’ve lived in the Detroit area for years. What do you like about it? I like the fact that it is a rallying city. If there is a need, Detroit will come to the aid. That’s what I really like about Detroit and its churches and just generally the people. What role do you think the city played in shaping your career? Right out of the New Baptist Bethel Church, I got my early training in the junior choir and I played piano for the choir on occasion. Traveling with my dad on the weekends I got my early experience on stage. I had a good childhood. It was lovely. We came here from Buffalo and we’ve been here since I was six years old. My childhood was mostly roller skates, hot dogs and hamburgers and milkshakes at a place which was not far from the New Bethel Baptist church on Hastings. I would go there after I would sing and have my regular burger and shake. Other than that, it was the Arcadia Roller Rink, which was the rink at the time. I was there on Tuesdays, Wednesday, Fridays and Sundays. Talk about what prompted the initial decision to sing secular music. It was Sam Cooke more than anything else I think. He left and went to the secular field and I loved those records so much because I love music. I wondered if I could do the same thing. My dad said if that was what I wanted to do, it was okay. I think the transition was very easy. I never left the church. The church is a constant with me. I just broadened my musical horizons. When you first recorded Otis Redding’s “Respect” did you have some sense that it would become your signature song? I had no idea. People in the neighborhood were saying “sock it to me” and then Laugh-In picked it up. My sister Caroline and I thought it would be good to use that line. But we never even got a dime [from the popularization of the phrase]. Did you foresee the song becoming an anthem for women’s rights and civil rights? I certainly did not, but there’s nothing wrong with it. Everyone deserves respect. It’s perfectly alright with me. You’ve covered Adele’s “Rolling in the Deep” on your Aretha Franklin Sings the Great Diva Classics album. What do you think of her and her incredible success? I think Adele is a very good artist. She’s an excellent writer and she has a kind of different story, one that you don’t hear everyday. I like her writing. She has great hooks, and she’s doing wonderfully well. Talk about the making of that record. What was the experience like? It was great. Babyface came into town. We always work very, very well together. He just gave me a free reign in the studio. What did you try to do with “I Will Survive”? I liked it. It’s a very easy song to sing. I just had fun with it. Most of the songs on the album I had bought as a consumer. What was it like working with André Benjamin on “Nothing Compares 2 U”? It was cool. He was really cool. He’s a very quiet producer. He’s very laidback and professional and listening intently and asking for what he wanted. He did the rearranging on the song. I wanted it to do it slow and he liked the tempo. Once I heard it in tempo, I realized it was a departure from the original, so I figured why not? Of all the awards you’ve received, which ones do you covet the most? Certainly, the Grammys. And the Congressional Medal, absolutely. That speaks to my civic person and everything is not about the music. Right now, no. I’m working on the biopic and getting ready to go to Durham [a date that was cancelled due to bad weather]. I am preparing to go to Florida later in the year for a short stint and a tribute to Natalie Cole at the Boca County Club. I don’t know why the networks didn’t carry more news about her death. You didn’t hear anything on the networks. We were not that close but friendly and mutually respectful. We didn’t have the same concert schedule, so we didn’t run into each other unless we went to something like the Grammys or the American Music Awards or something like that. Do you think you’ll ever retire from performing? Definitely not. I will be singing all the way. It’s not good to go and sit down anywhere, especially after having been very active. That’s just not a good idea.